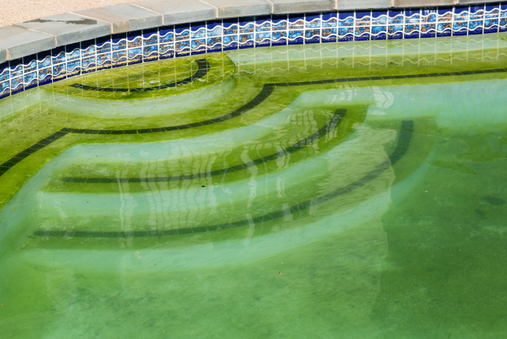 During the summer months, algae can build up on the sides and bottom of your pool. This plant loves the warmth of the sun and gets into the pool via airborne transmission in raindrops off plants and trees or your roof or through a bit of transference from a swimsuit or through a small slime patch on a float. Its growth and presence indicate the pool can be the breeding ground for insects, mosquitoes, and bacteria and is not very safe to swim in. 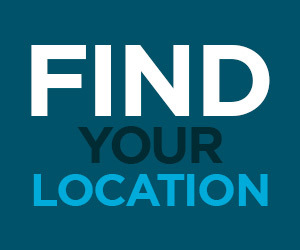 You will need to address the problem, as by not maintaining the right environment, you may have problems later. Cloudiness, greenish, or yellowish water is your first sign that this visitor has made its home in your water. This uninvited guest can enter your water through wind, rain, and dirt. Spores can also enter through the body of a swimmer or their bathing suit. The growth of this invader can happen quite quickly, so keeping on top of the situation is imperative. Balance your water, making sure the pH is the lower end of the active range of 7.2-7.4. Turn on the pool to get things moving. You need optimum circulation, so adjust valves and return fittings if necessary. 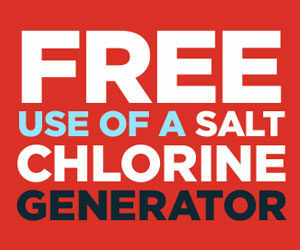 For green bloom that is suspended, shock the water with hypochlorite. The next day, test the water to be sure that chlorine levels are still very high. If the levels have dropped to 0, you may need to shock again. Brush the floor and walls, working towards the main drain. Do this on a daily basis; vacuum as necessary. If the water has a swampy feeling, you may need to use a flocculent. With black algae growth, the brushing feature is most important. Use a steel bristle brush on plaster; on vinyl, use a brush made of nylon. Pumice stones also work well on black algae. Sprinkle granular calcium hypochlorite over the area where it is growing or rub the area with tri-chlor tablets or sticks. Clean or backwash your filter frequently during this process multiple times a day if needed. Good filtration and circulation, as well as good sanitation, are important in preventing this growth; it might be time to replace the filter. Look at its size and condition. Don’t hesitate to run the filter 24 hours a day for sand type and cartridge filters and 20 hours a day for DE in trying to remove algae. Short run times in warm swimming months invites the buildup of this invasive plant form. When a good filter removes the tiny particles that the plants feed on, by filtration, they die, eliminating the problem. Rather than fighting the blooms, it might be worth it in the long term, to invest in a better filter, better chemicals and longer run times- we can help with electricity costs by installing modern state of the art variable speed magnetic drive pumps and motors. Regular maintenance is the first step in prevention and using a cleaning service on an ongoing basis can help you avoid this problem. 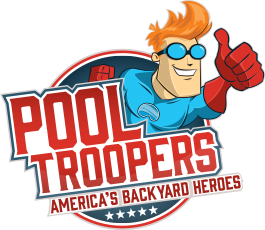 At Pool Troopers, we can help you maintain your water environment, eliminate the aggravation of unwanted blooms and their growth, in addition to providing the right filtration and chemicals. Contact us with your questions or to arrange for maintenance of your pool. Then, enjoy the fun of the season.